Tiffany's Online Finds and Deals: $1 Paper Mate Pink Pearl Erasers, Medium, 3 Count for Amazon Prime Members! 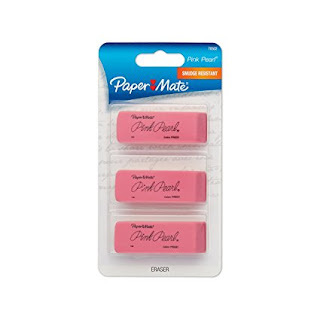 $1 Paper Mate Pink Pearl Erasers, Medium, 3 Count for Amazon Prime Members! Amazon Currently has Paper Mate Pink Pearl Erasers, Medium, 3 Count for ONLY $1 NOTE it is on back order ADD 2 for NO rush credit!